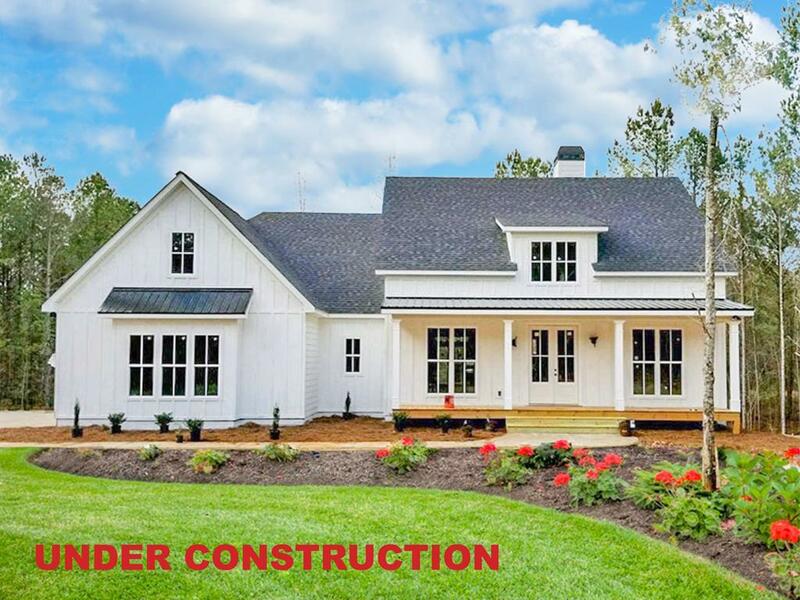 Incredible modern farm house 3 bedrooms 3 1/2 bathrooms on 1st floor plus upstairs 4th bedroom & full bath on .58 acre lot in fabulous Rapids with neighborhood pool, tennis courts, club house and access to the Greeneway! 32x6 rocking chair front porch! Fantastic kitchen with ceiling beams, huge island with lots of seating space, gas stove, built in microwave, vegi prep sink, granite, tile backsplash & great walk in pantry! Dining room with coffered ceiling & wainscoting! Owners suite with tray ceiling & awesome ceiling beams, bath with double sink vanity, large tile shower with seat & separate tub, water closet plus huge 15x9 walk in closet! Plus large laundry room w/utility sink & folding area is accessible from owners closet as well as from hall! Spacious spare bedrooms with private baths & walk in closets! Charming mud bench! Covered 28x9 back porch, fully landscaped, sprinkler system & side entry garage with workshop area!. Hurry and you can select all the finishes!